Export Portal is the world's largest and the most comprehensive Export and Import Directory, being a perfect starting point for international sellers, suppliers, manufacturers, importers, exporters and persons looking to establish direct business contacts. If you are interested in buying products made in Estonia or contact potential business partners in the country, you have come to the right place. As to the Estonian trade profile, the country benefits from its location between prosperous Sweden and Finland and the economic potential of Russia. The nation's economy is an open one and export-oriented and its international trade is chiefly based on strong economic ties with Germany, Latvia, Finland, Sweden and Russia. In 2012, machinery and equipment held the 1st place in Estonian exports, followed by agricultural products, mineral fuels, and food preparations. The Estonian machinery and transportation equipment industry is to a great degree dependent on international markets. About 90 percent of production is being sold abroad, the most important export country being Finland. If you wish to make a purchase from Estonian companies, just select a product category from the list. Export Portal is your gateway to international trade. Are you an Estonian importer looking to import goods from overseas for your store or just for personal use? Importing goods from abroad is the best way to obtain quality products at low prices. Export Portal , the world's leading export import portal, showcases a fabulous collection of products offered for sale by trusted sellers and manufacturers. And what are the main products imported by Estonia? Being a small state, the country has to import many goods. These include engineering products & machinery, raw materials as well as various means of transport. The country also imports different types of consumer goods: as Estonia doesn't produce household appliance, all these are imported, the same refers to home electronics, clothing articles, various foodstuff and design products. Export Portal is your one stop destination for finding and contacting Global Suppliers and Manufacturers to import products easily and safely to Estonia. Source for Machinery & Parts Manufacturers, Home Products Manufacturers & Suppliers, Garment Manufacturers, Global Food Suppliers and many others. Estonia is a country situated in the Baltic region of Northern Europe. It is bordered by Gulf of Finland, the Baltic Sea, Latvia, Lake Peipus and Russia. 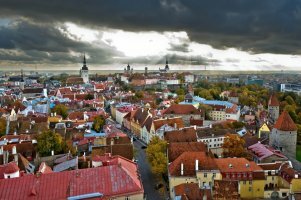 Estonia belongs to approximately 180 international organizations, some of them being the WTO, EU, Food and Agriculture Organization, World Customs Organization, International Trade Union Confederation. Estonia is a member of EU since May, 1st of 2004. The country applies the European Union import regime trade policy such as antidumping or anti-subsidy measures. Some products need import licenses. There are some restrictions on farm products, following the implementation of the Common Agricultural Policy: the application of compensations on import and export of farm products, aimed at favoring the development of agriculture within the EU, implies a certain number of control and regulation systems for the goods entering the EU territory. Some products imported into Estonia must be "CE" marked in respect to the European Directives adopted on the basis of the New Approach and the Global Approach. Since 2000, the "Most favored nation treatment customs duty act" came into force. According to this Act, goods originating from non European countries are subject to customs duties. However most goods can be imported into Estonia without restrictions. Imported goods should be cleared off by a writing procedure. The documentation required is: a signed commercial invoice, certificate of origin/goods certificate.